Environmental protection is an incredibly important topic in every industrial sector these days, and also lies close to our hearts at JEDI Kunststofftechnik GmbH. 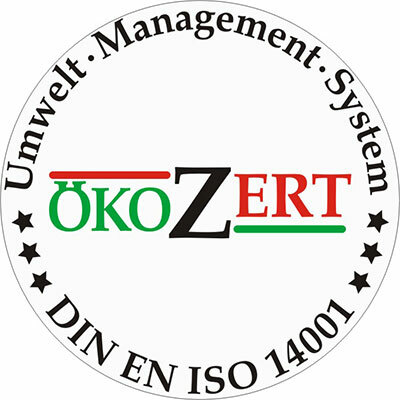 We operate our environmental managing system according to DIN EN ISO 14001, not just exclusively within the context of production, but also in relation to the recycling of material in circulation, the recycling of waste and the constant monitoring and testing of our process materials and operating materials. Furthermore, we work with a special energy management system which was certified according to § 5 Paragraph 1 SpaEfv and its strict adherence to this has been examined by TÜV-Nord. Using our environmental system, we take responsibility within the context of all operational procedures for environmental protection and climate protection, and can therefore look into the future with a good conscience as an example to other companies. Environmental protection is just as important to us as customer satisfaction and the high quality of our products. Balancing these three aspects in relation to one another as part of our company philosophy has resulted in JEDI Kunststofftechnik GmbH’s impeccable reputation and makes our company one of the worldwide leading manufacturers of plasticized PVC products. Environmental protection must begin today and comprise of all industrial sectors. We fully and completely meet these requirements with the environmental systems that we use.